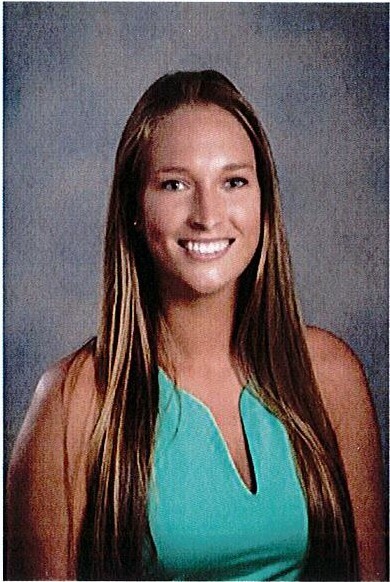 ZEPHYRHILLS – The City Council has embraced a proposal to name a tennis center planned for construction this fall in memory of Sarah Vande Berg, a former Zephyrhills High School and college tennis standout whose 2015 death in a car wreck stunned the community. The city of Zephyrhills is embarking on a plan to construct a $2.1million multi-court center built to U.S. Tennis Association professional standards. Construction could begin as soon as October. Plans are to build the center on nearly 5 acres on the south end of Dean Dairy Road at Eiland Boulevard. It would be a partnership between Zephyrhills and the developer of a new subdivision, the District at Abbot’s Square. City Manag er Steve Spina proposed to the council during a meeting Monday night that the center be named the Sarah Vande Berg Memorial Tennis Center, after the former high school district champion who became a scholarship player on the University of South Carolina Upstate women’s tennis team. Vande Berg, the daughter of long time city planning director Todd Vande Berg, died in an automobile wreck at the age of 21 as she headed into her senior year of college. The council voted unanimously to send the proposed tennis center name to a committee made up of city staffers that will vote on an official recommendation to the council, which is standard procedure under a city resolution that governs the naming of city facilities. Council members touched on the great loss the community felt after Vande Berg’s death and her incredible talent as a tennis player. They said it was fitting that the tennis center should be named after her. “In my opinion, this is absolutely fabulous ,” said Council president Alan Knight.